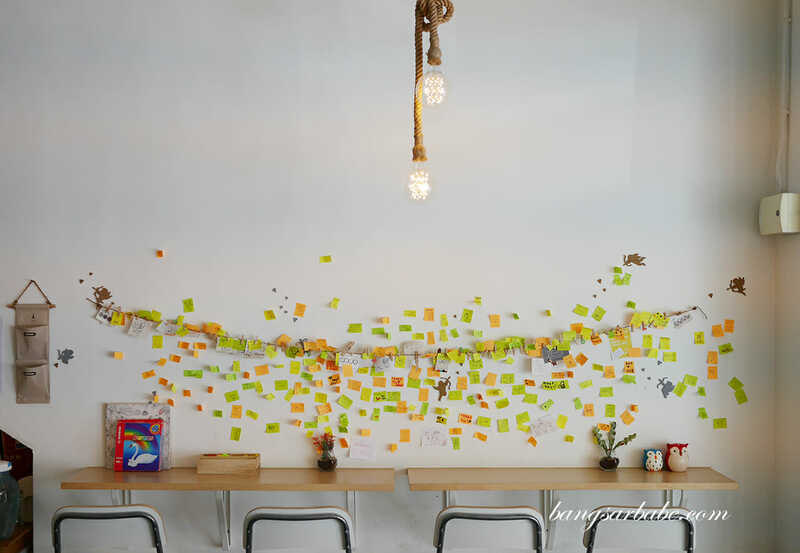 The café is brightly lit and cosy, with bits of memorabilia to dress the place up. 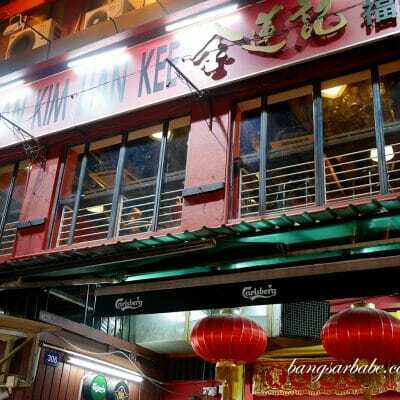 They open from 1.30pm till 11pm from Tuesday to Sunday. 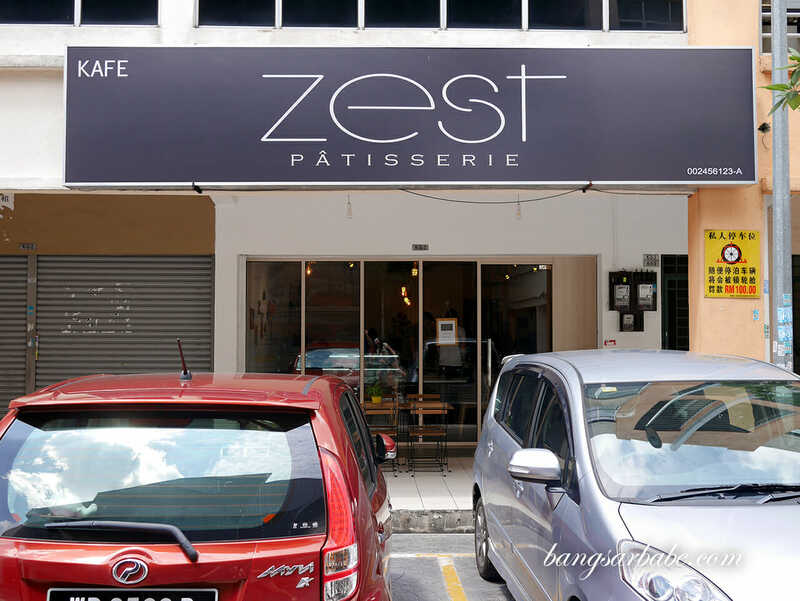 Zest Patisserie gets pretty packed around 3pm so if you want to be seated inside, so slightly earlier. 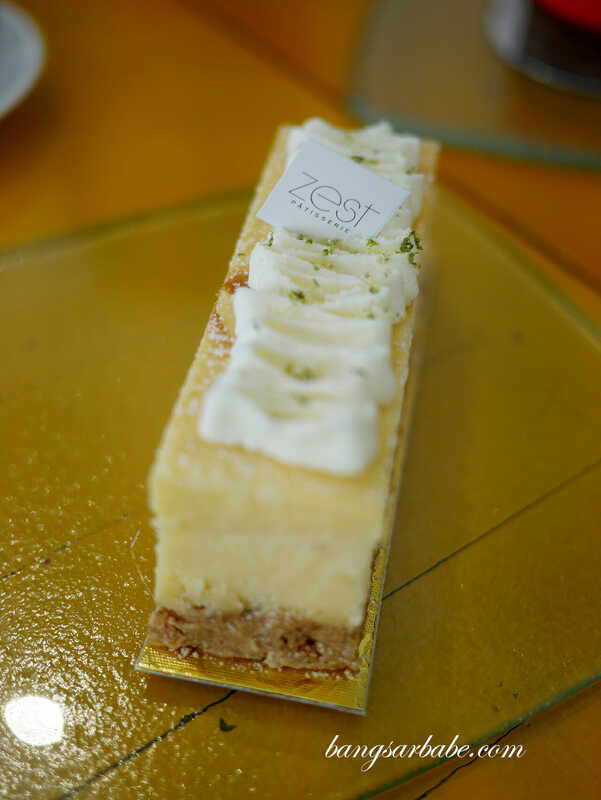 Pastries are also a feature, like the Kaffir which is essentially a lime flavoured cheesecake with digestive biscuits as the base. I found it nicely balanced with a refreshing aftertaste, though for RM14.30, it wasn’t as refined as I thought it should be. 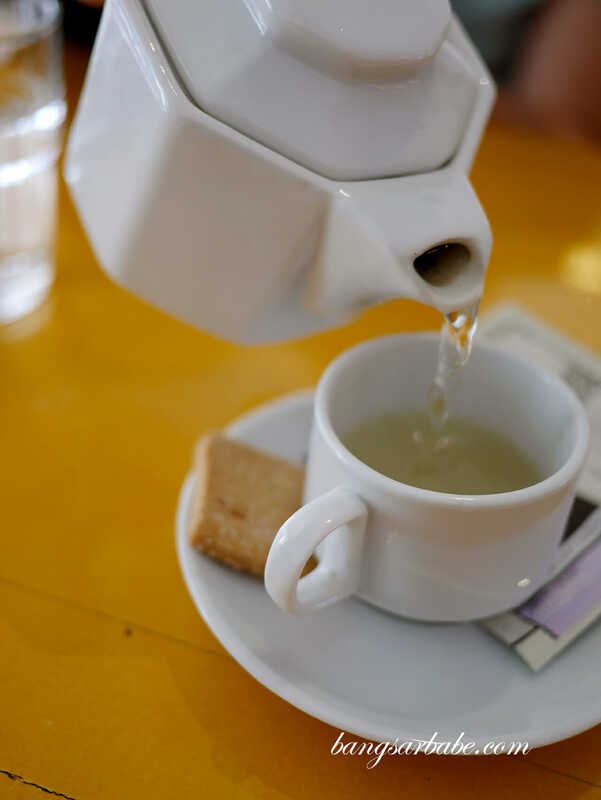 If you opt for the tea set promotion, you get to pick a choice of tart/cake to go with your pot of tea. 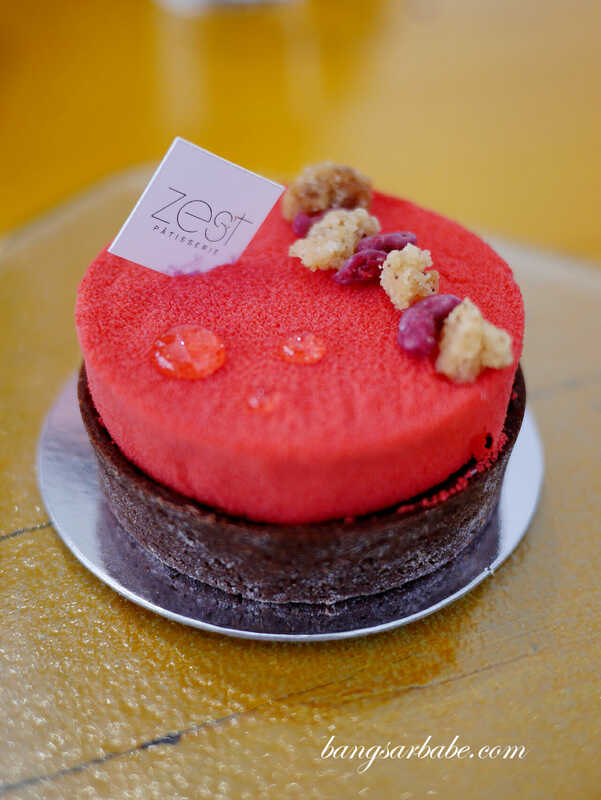 My friends had the Red Wine Berry Ganache which I didn’t care much for. That said, they did a decent job in allowing the wine flavour to stand out. 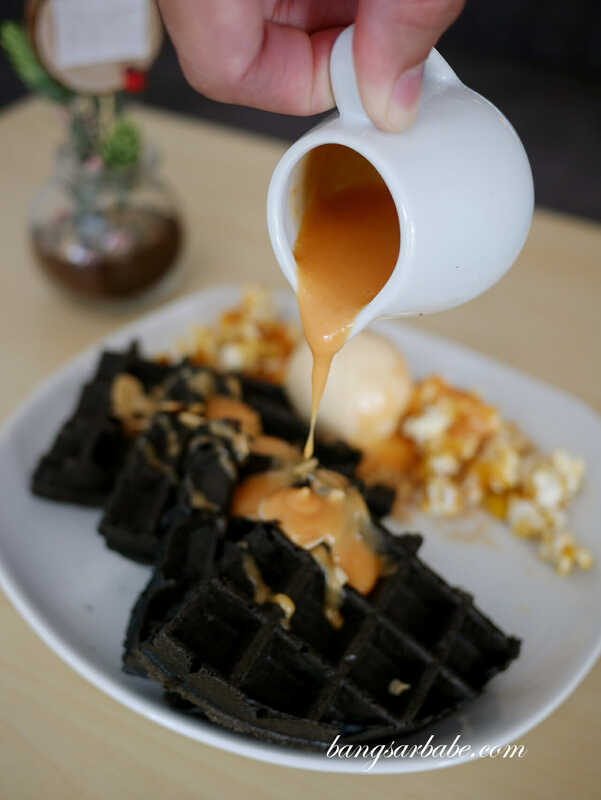 Caprice (RM18) was quite good and you can opt to “banjir” your waffle with extra salted egg yolk sauce for an extra charge of RM3. You won’t regret the banjir option. I liked how the ice cream had a nice balance of salted egg yolk but it could do with a bit of sea salt sprinkled on top. 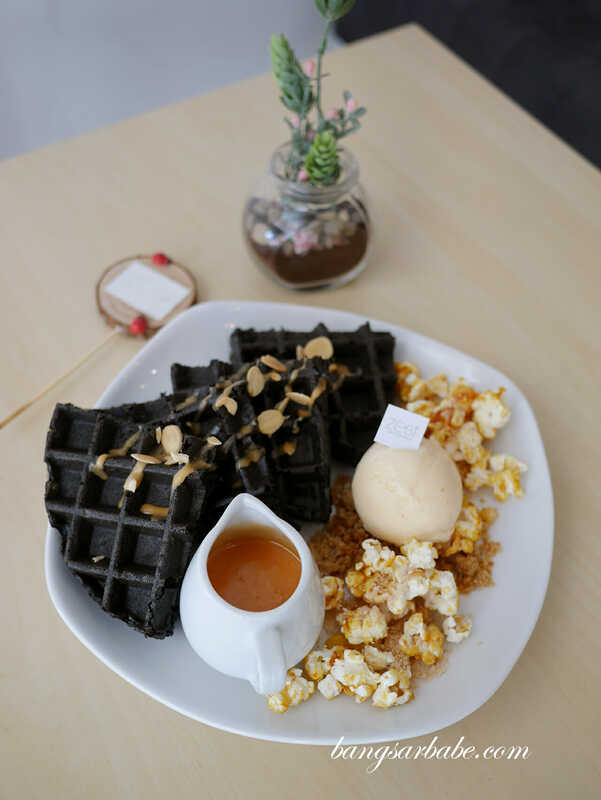 That said, the combination of caramel popcorn and salted egg yolk is quite addictive – portion is filling enough for two, but I’m quite certain salted egg yolk lovers would want to attempt the entire thing by themselves. 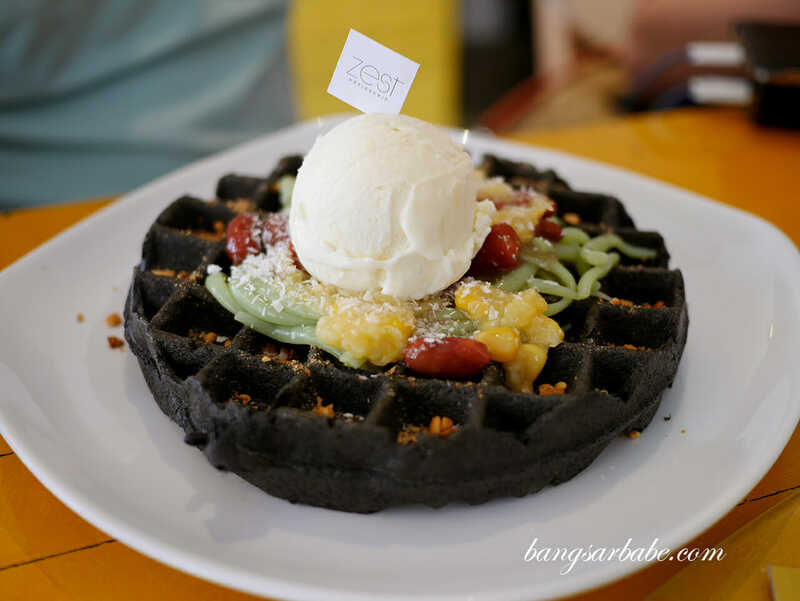 If you love durian, try the Durian King (RM18); Zest Patisserie’s creation of charcoal waffle with cendol and durian ice cream. 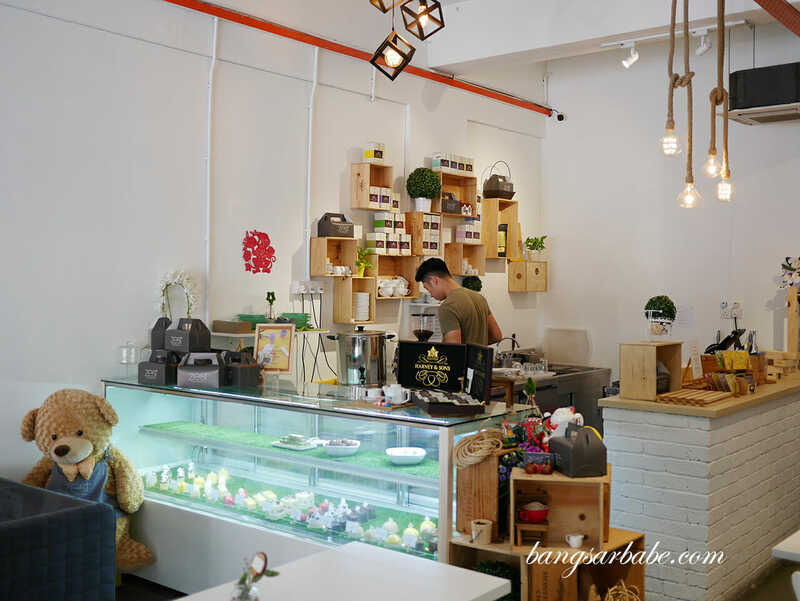 Think waffle with cendol and durian, combined into one dessert. 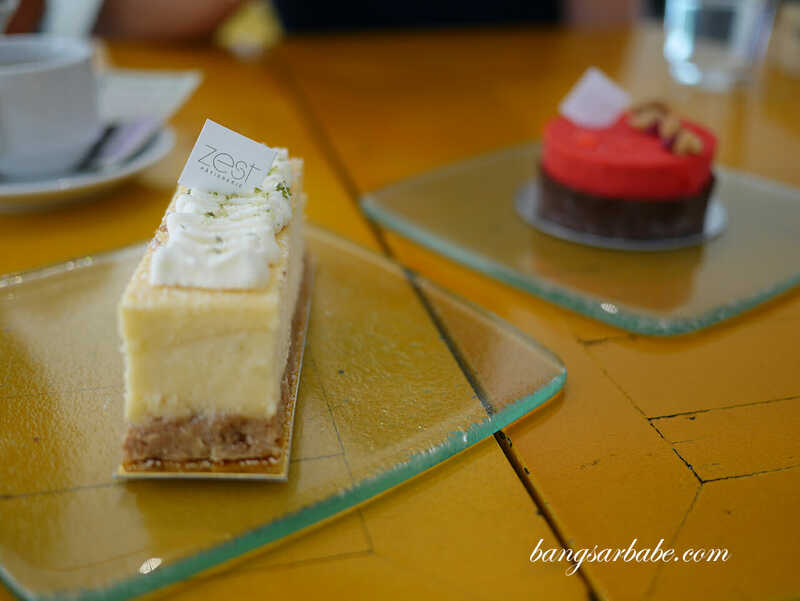 I’m not big on durian but I had a bit to try. The ice cream is good stuff! 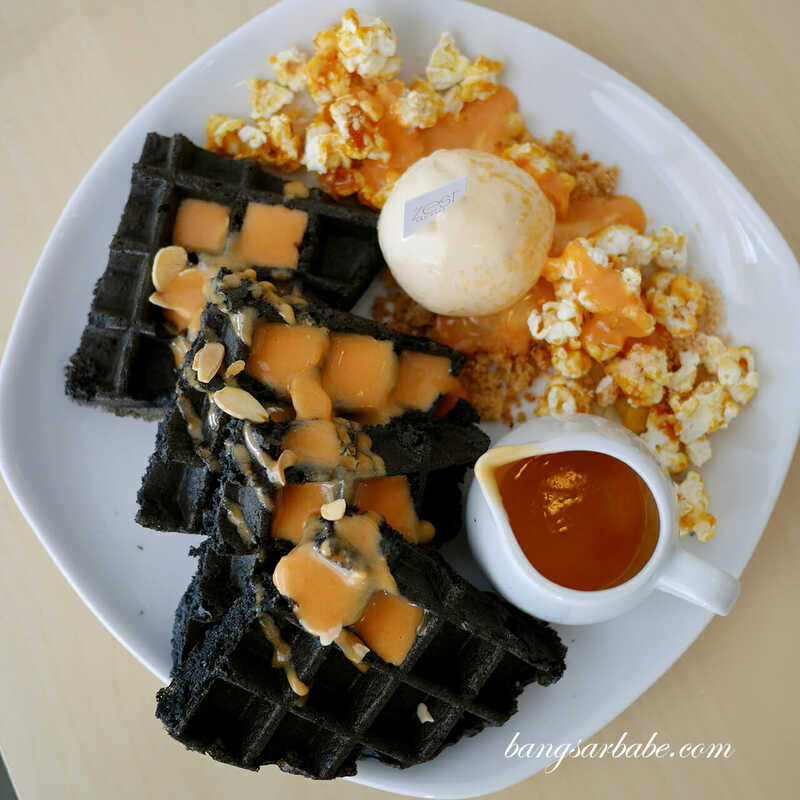 It can get rather noisy when the crowd comes in but I would go back for the salted egg yolk waffle. Their cakes have potential but I feel they (at least the ones I tried) need work. 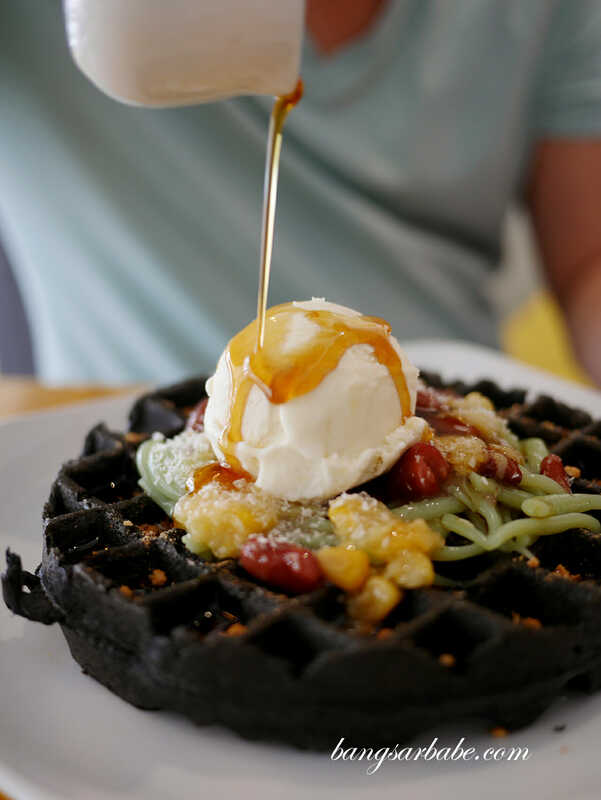 Verdict: The salted egg yolk waffle is worth checking out.